Intense competition is causing non-related retailers to work together and, in many instances, making it easier for time-pressed consumers to shop. As an example, Kroger and Walgreens are moving forward with their plan to offer Kroger grocery items at select Walgreens stores. The food section is called Kroger Express and consists of 2,300 products that have been selected using consumer preference data. The first store in Florence, Ky., is already operational. The next phase calls for opening a dozen more locations in Northern Kentucky, not far from Kroger's Cincinnati headquarters. Kroger says the next 12 stores will open early next year. "The Kroger Express concept creates easy access to our most popular Our Brands products through a fill-in grocery shopping experience for Walgreens customers, and our Home Chef Express meal kits provide customers with an on-demand solution for tonight's dinner," said Robert Clark, Kroger's senior vice president of merchandising. Retailers have been getting creative lately in a bid to counter Amazon's growing dominance. After Amazon began delivering groceries most competitors adopted some method of making it easier for consumers to shop. Nearly all grocery chains now offer the ability to order online and have the order delivered to the consumer's vehicle in a drive-up space. For Kroger, the Express concept is designed to sell groceries to consumers while they shop at a drug store. In a similar deal in 2016, CVS took over the pharmacies inside Target stores. At the same time, Kroger has begun offering Home Chef Express meal kits in 65 Chicago-area Walgreens stores. During the pilot period, Walgreens will offer three different meals, with the selections changing on a regular basis. Each meal serves two and prices start at $8.50 per serving. "Customers have responded favorably to the retail meal kits at our Mariano's stores in the market and other Kroger Family of Stores located in different cities," said Clark. "The Walgreens expansion provides more Chicagoans convenient access to a quick, simple meal." 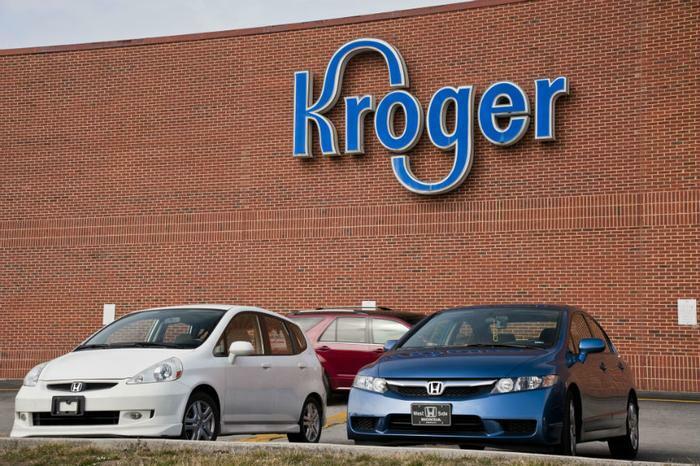 Kroger and Walgreens announced their joint venture in early October but have not said whether the tie-up will be expanded beyond the 13 Walgreens stores in the Cincinnati area.